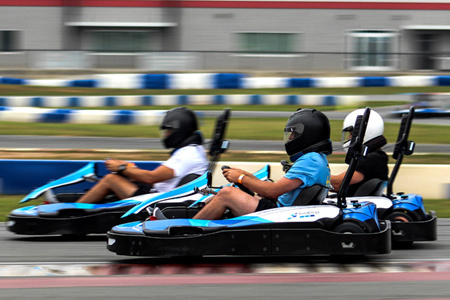 GoPro Motorplex's World Class Karting Track! 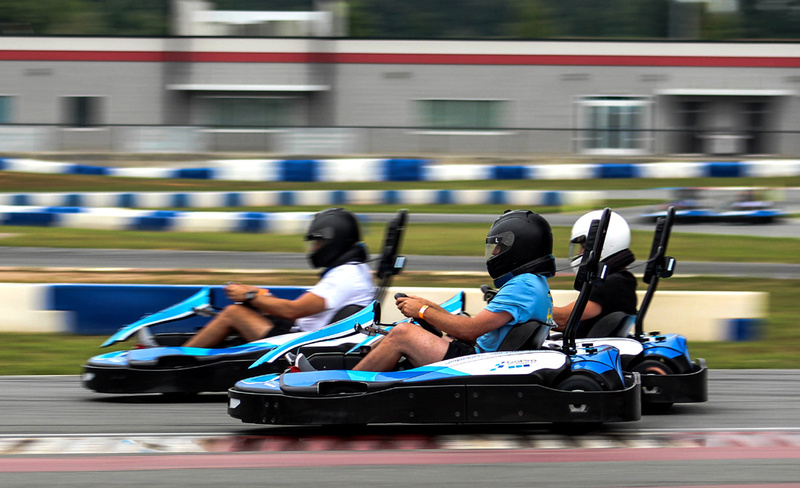 GoPro Motorplex's world-class race track was built by industry racing professionals with meticulous emphasis on safety and usability. 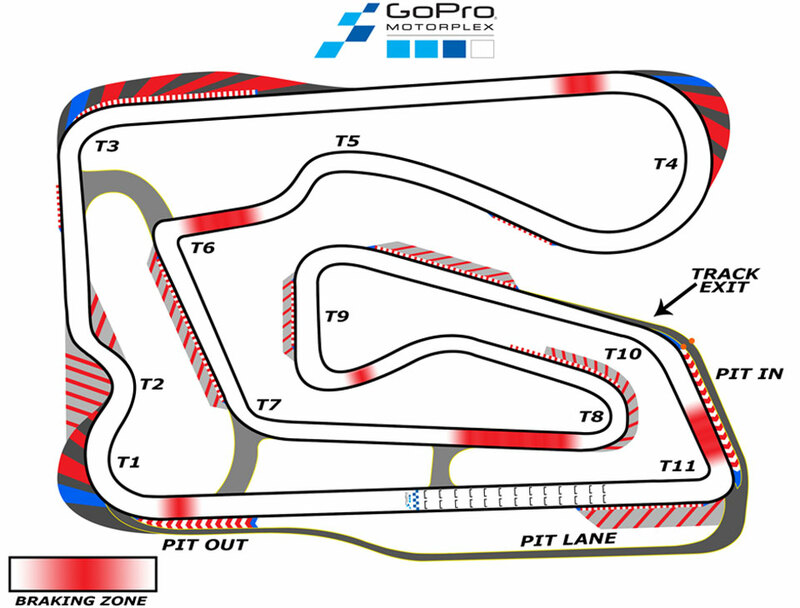 The outdoor 0.7-mile, 11-turn track is modeled after the famous and historic Kartdromo Parma circuit in Italy, that gave birth to the racing careers of professional drivers such as Patrese, Senna, Zanardi, Alonso, Hamilton and Raikkonen! Racers get a true racing experience with our proprietary motorsports-specific asphalt design, CIK curbing and runoff zones, and a wide, accommodating paddock and pit area capable of holding the largest karting events in North America. Our night time driving experience features state-of-the-art sports lighting system engineered and built by MUSCO Lighting, the industry leader in venue lighting applications. The 650-foot frontstretch (between Turn 11 to Turn 1) and the 500-foot backstretch (between Turn 3 to Turn 4) is when you thrust the accelerator to the floor – full-speed and full-throttle, no brakes needed! When you start to approach Hairpin Corner (Turn 8), you'll need to find the perfect time to start braking, allowing you to take the corner smoothly so you can accelerate through the exit of the corner. Our fastest corners are the Chicane (Turn 1-2) and the Bowl Turn (Turn 4), where you can hit high speeds for a rush of adrenaline.